Home > USA > WOT is 2009’s Coolest Car? 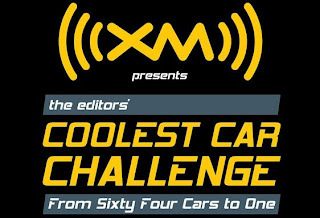 Vote in the XM Coolest Car Challenge! WOT is 2009’s Coolest Car? Vote in the XM Coolest Car Challenge! Starting with the more than 160 XM-equipped vehicles, editors trimmed the list down to the coolest 64 cars, trucks and sport-utilities for 2009. These 64 were then seeded in a basketball tournament-style bracket with the editorial teams selecting the winner of each head-to-head matchup, round by round, to determine the XM Coolest Car for 2009. Here’s where you come in. If you can match the editors’ selections pick for pick, including their choice for the coolest car of 2009, you could win $10,000. Not a bad payday just for being a car nut. Last year, the Chevy Corvette was the editors’ pick for 2008’s coolest car. Now with the ZR1 joining the line-up the Corvette family becomes an even more insurmountable force. Will it prove enough with to compete with all-new entries like Porsche’s 911, Hyundai’s Genesis, Nissan’s Maxima and GT-R, Pontiac’s G8, and many more viable foes? All will be revealed on November 24th, including the editors’ pick for the coolest car of 2009, along with the bracketology of how it got there. Click here to make your selections in the 2009 XM Coolest Car Challenge and give us your coolest pick in the comments section below.